An updated version of the world's best-selling grammar title. 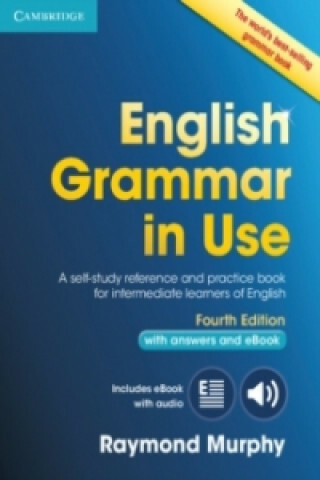 English Grammar in Use Fourth edition is an updated version of the world's best-selling grammar title. It has a fresh, appealing new design and clear layout, with revised and updated examples, but retains all the key features of clarity and accessibility that have made the book so popular around the world. This edition includes an eBook which has the same grammar explanations and exercises found in the printed book, plus other great features. You can listen to all of the example sentences from the book, record your answers to exercises, highlight text, bookmark pages and add your own personal notes.